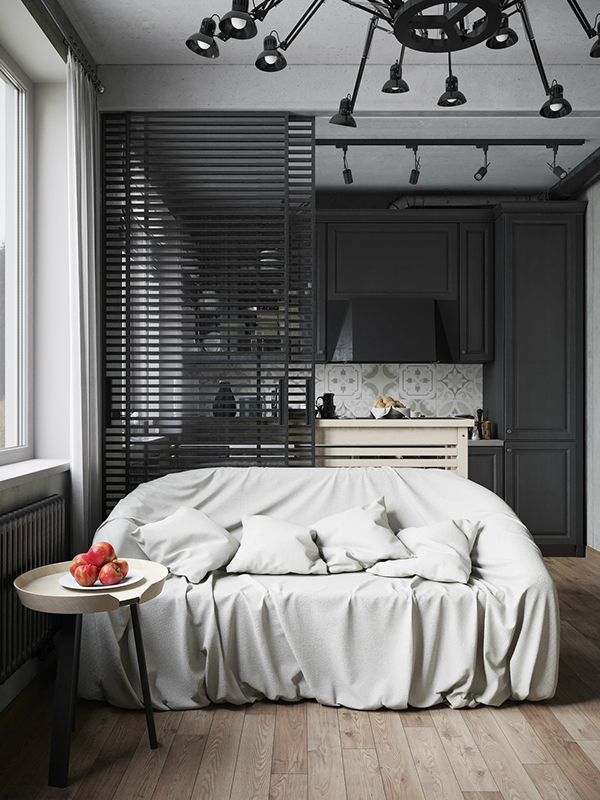 A small space by Denis Krasikov, made to look gorgeously huge with exquisite architecture, tall windows, and sliding dividers to define distinct areas of a home. 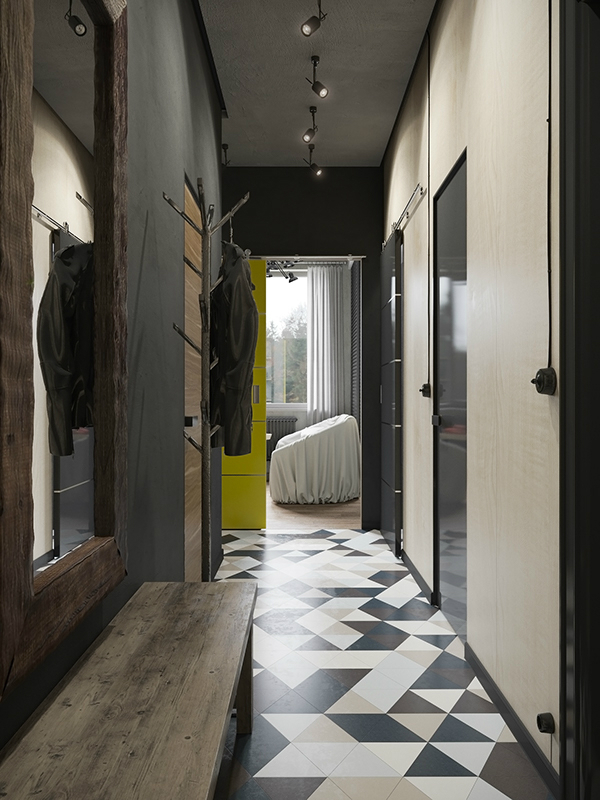 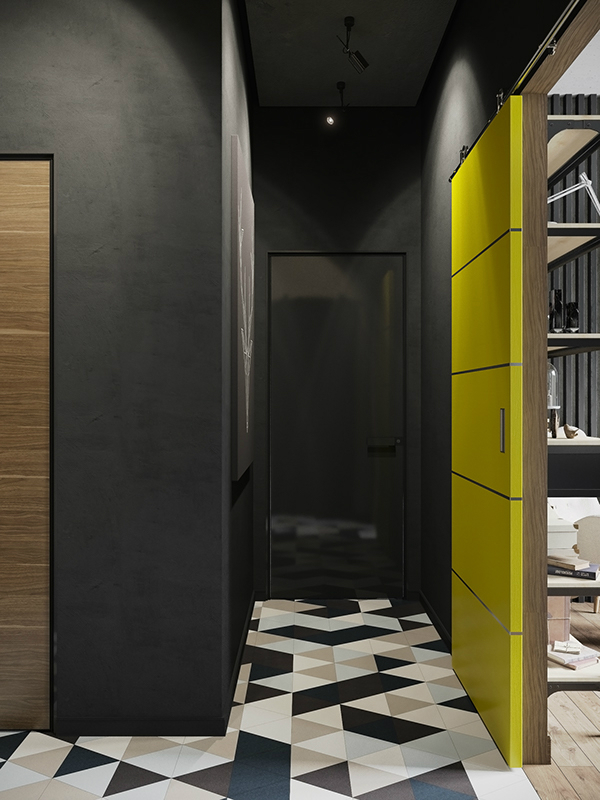 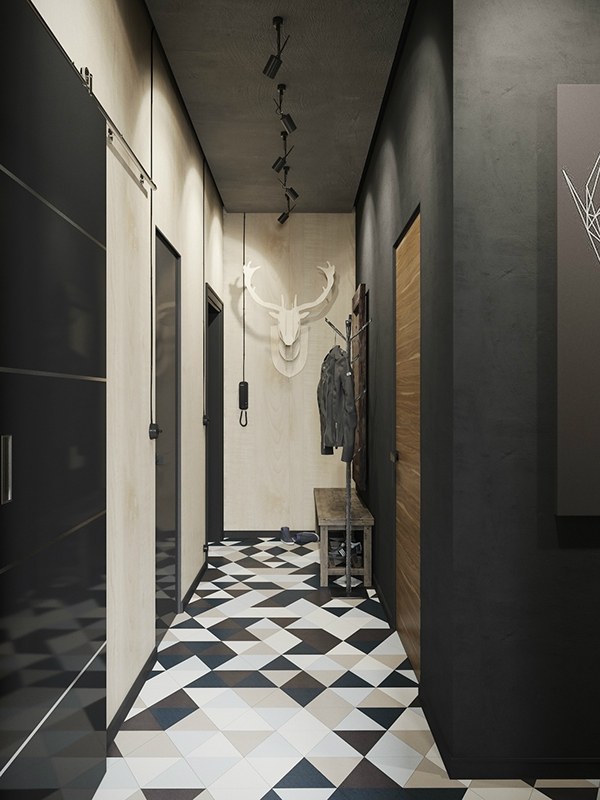 Lines, vertical and horizontal, are prominent throughout this modern apartment design from wooden flooring to the intricate wall details, to brilliant lighting fixtures. 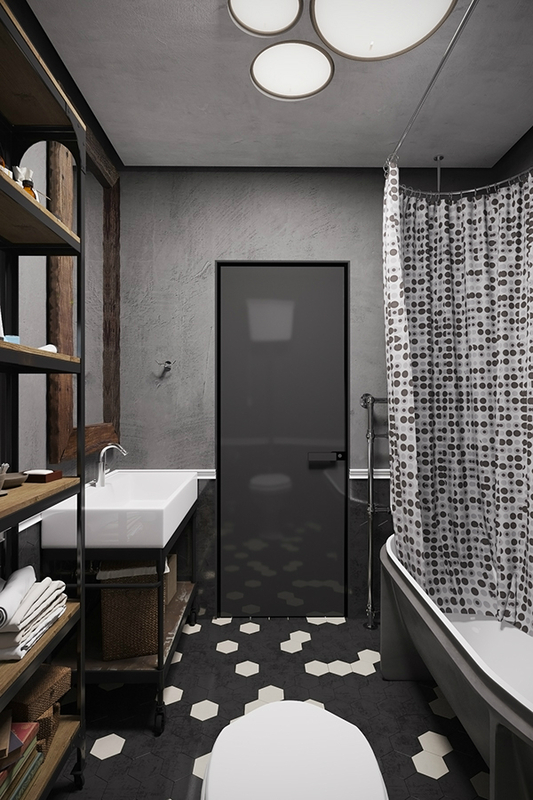 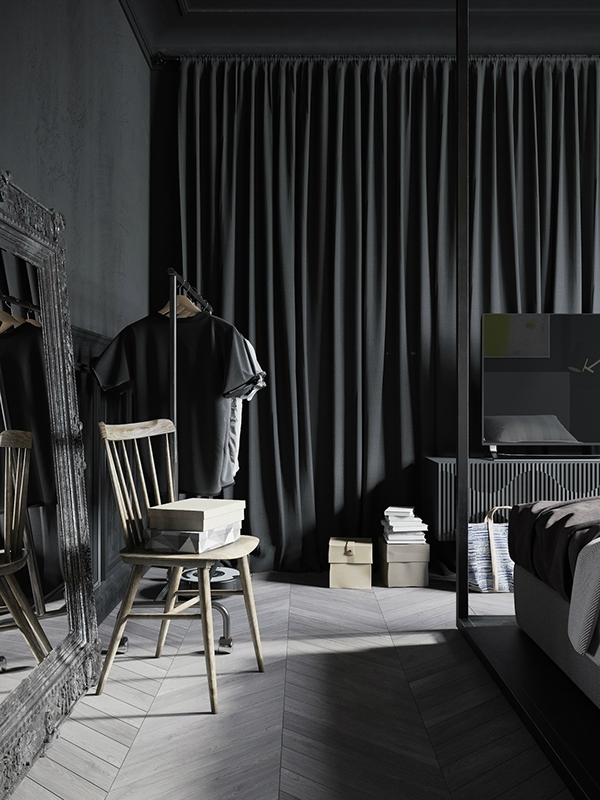 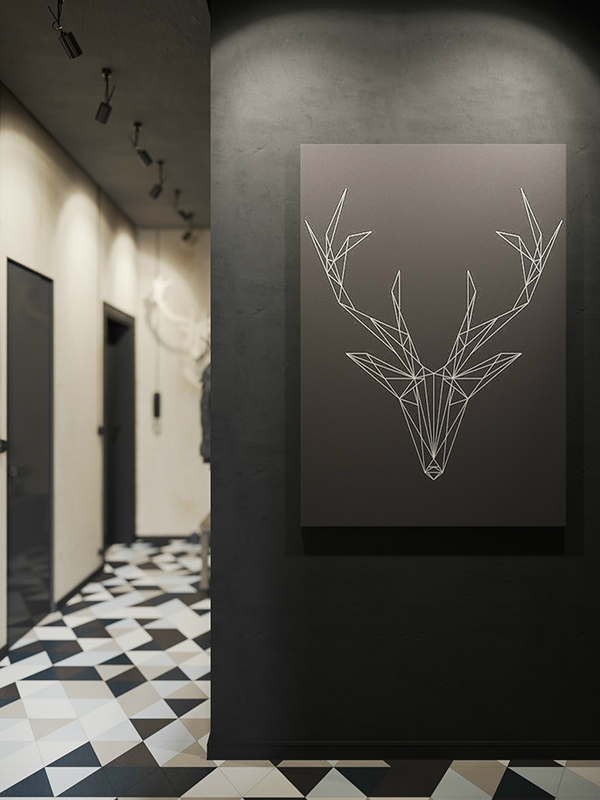 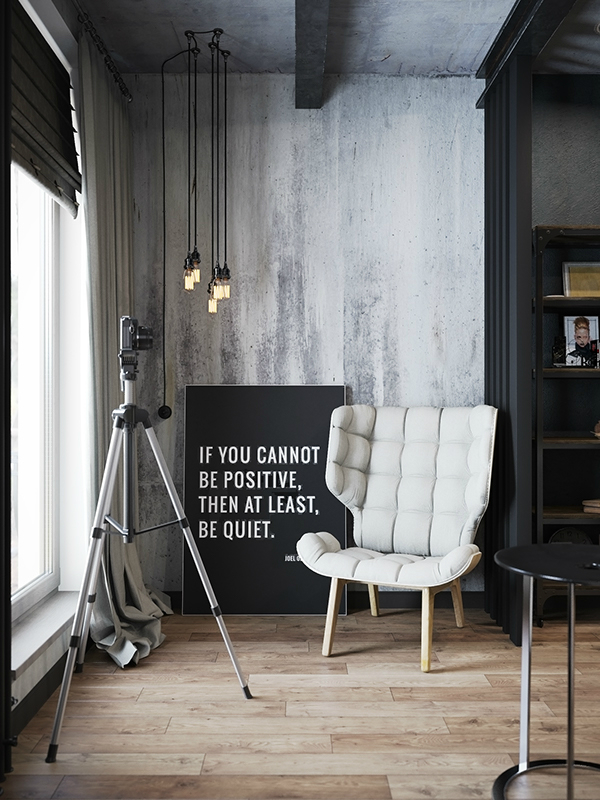 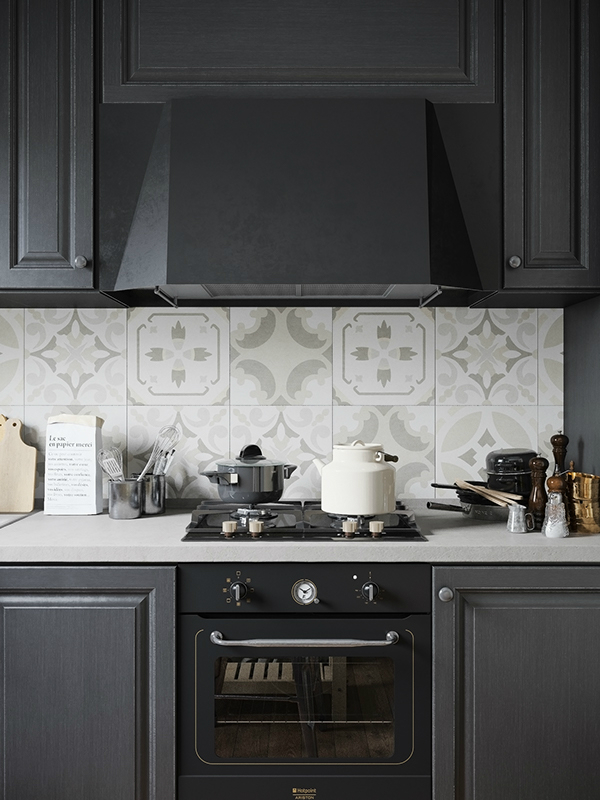 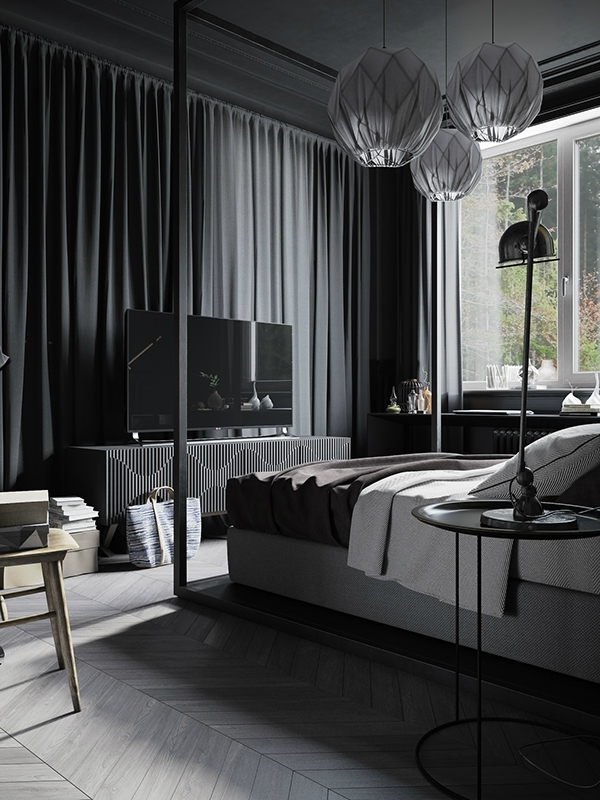 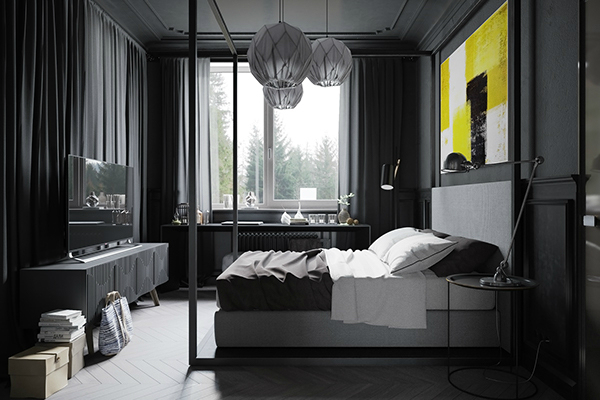 Black never falters to create a striking statement, as seen in kitchen cupboards and cabinetry, doors, curtains, and various other state-of-the-art accents. 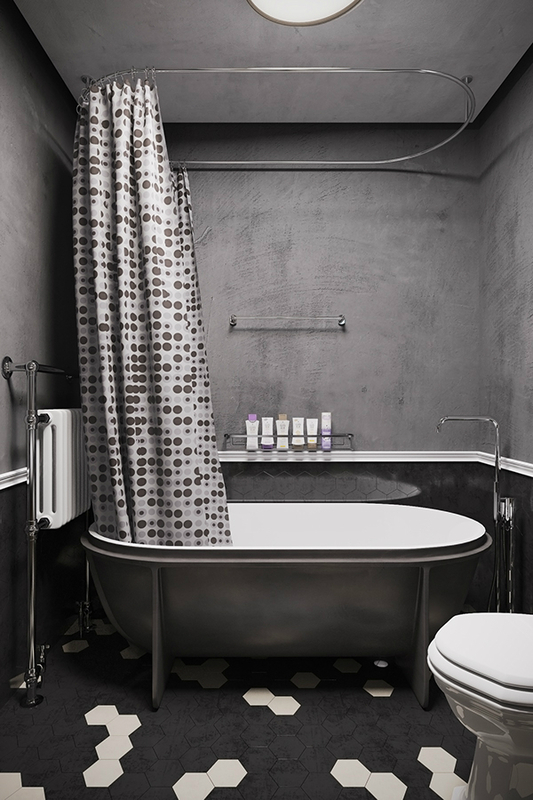 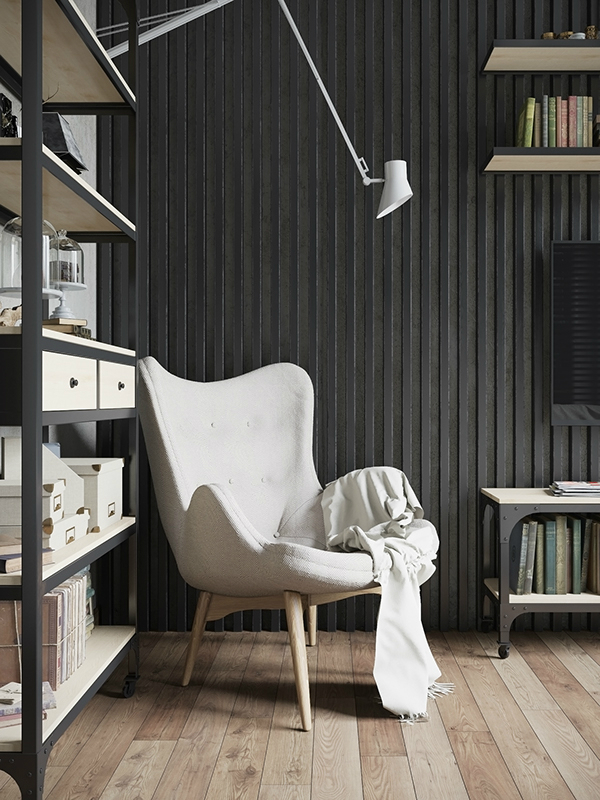 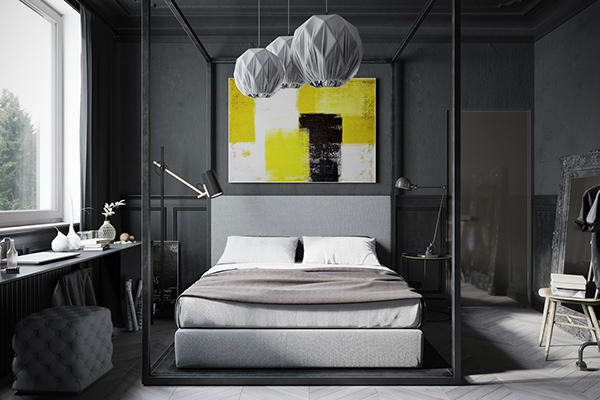 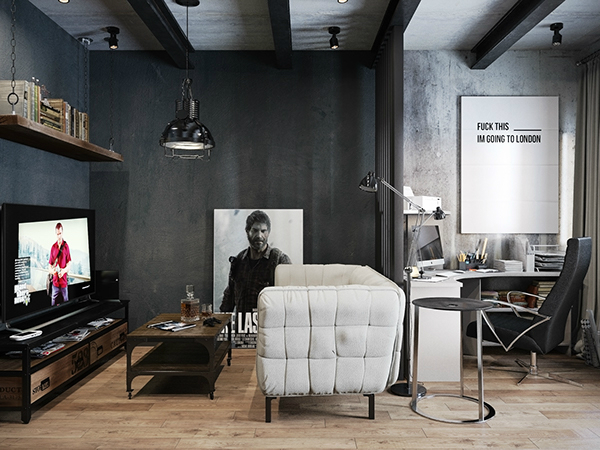 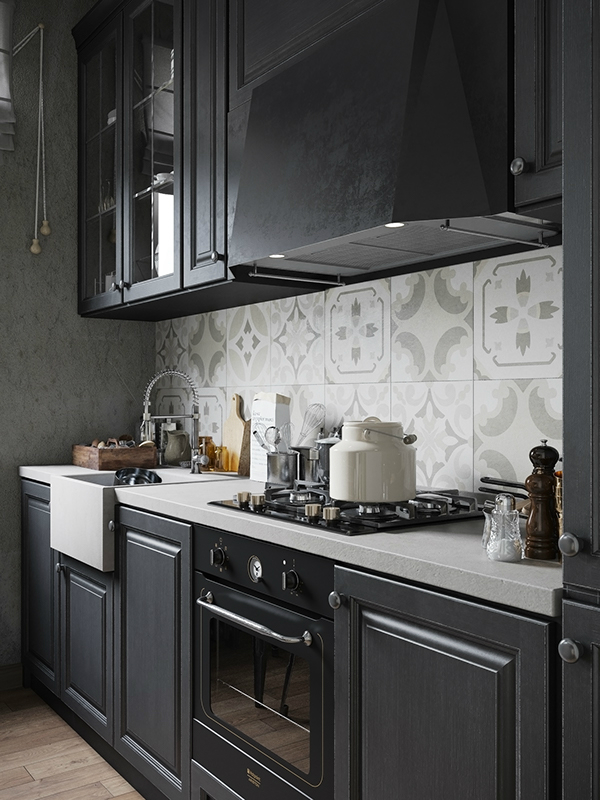 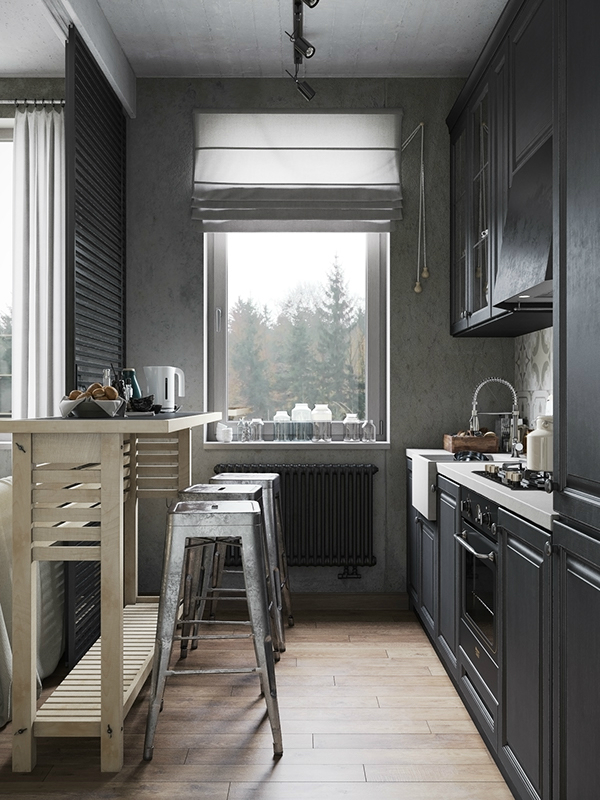 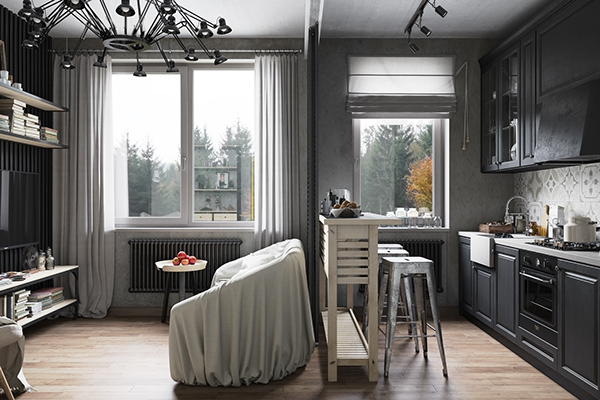 The industrial setting is far from looking dull, for blackish and grayish shades are beautifully brought to life by the color of everyday things and activities. 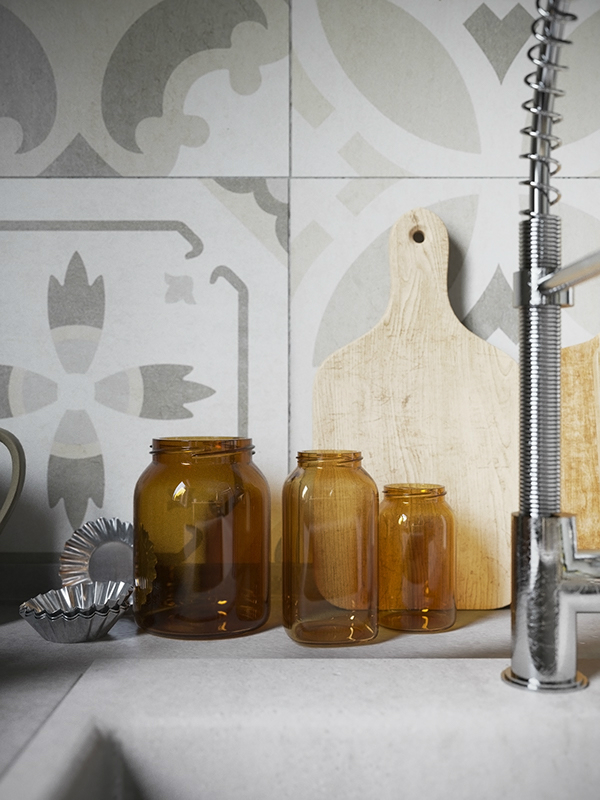 Patterns are scanty, but they’re remarkably sprinkled throughout the home. 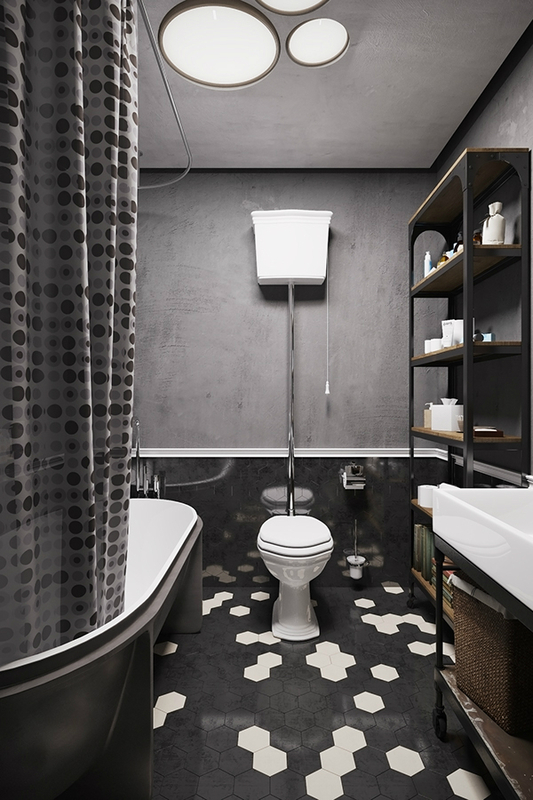 Bathroom floors, shower curtains, hallway flooring, kitchen tiles, and contemporary ceiling lamps each have its own unique style. 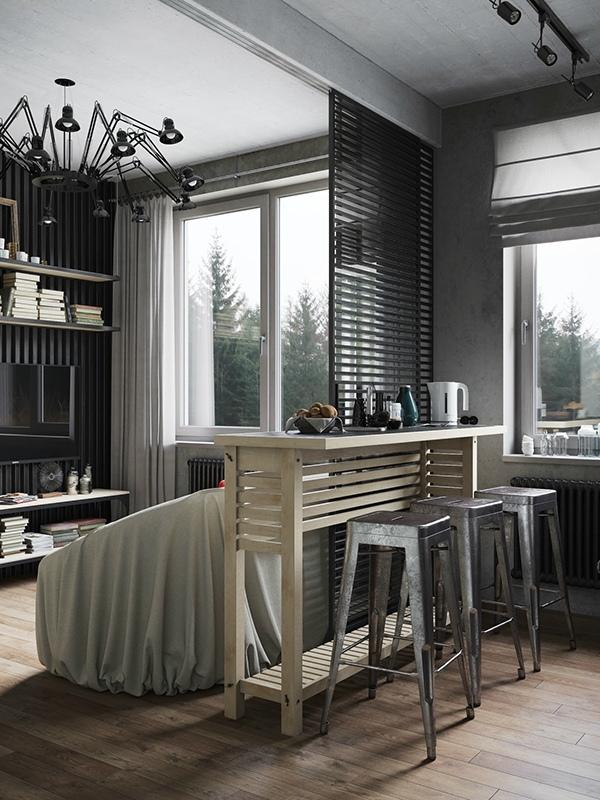 Wall shelves arrive in the elegant two-toned light and dark, brown and black combination for attractive organization of books, decor, and personal collections. 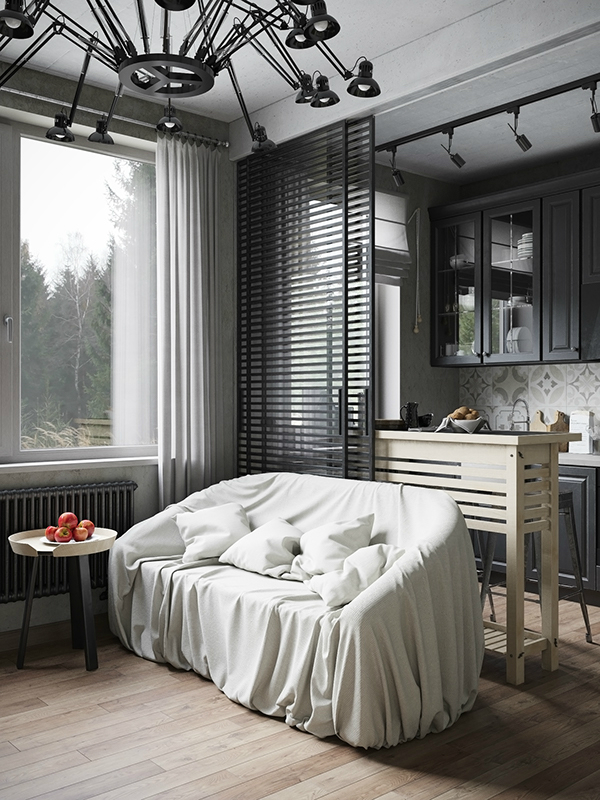 Huge works of art that inspire, the lovely quilted chairs and comfortable couch alongside a scenic view of the outdoors produces a relaxing atmosphere.